Building animatronic displays was once solely the domain of professionals in movies and television. These day, there are hobbyists and professionals all over the world working with animatronics. Motion-enabled elements can be found in Halloween and Christmas displays, museums, and of course, just for fun. It's an art that has come a long way in the last couple of decades. Making robots, puppets and displays move is complicated. It requires skillful use of drive mechanisms, linkages, controllers and mounting techniques. Builders want their projects to move in a smooth, fluid manner to create the illusion of realism. The options available for creating linear motion used to be expensive, complicated to work with or unrealistic in the way they move. Though these types of actuators have their place, hydraulic and pneumatic tend to be more expensive and complicated than electric actuators. Electromagnetic actuators (such as those found in power door locks) are cheap and easy to come by, but they tend to be underpowered for a lot of projects and lack the ability to stop mid-stroke. Electric micro linear actuators allow builders to create smooth linear motion without complicated motor controllers or clunky rods and fittings to convert rotary motion to linear. 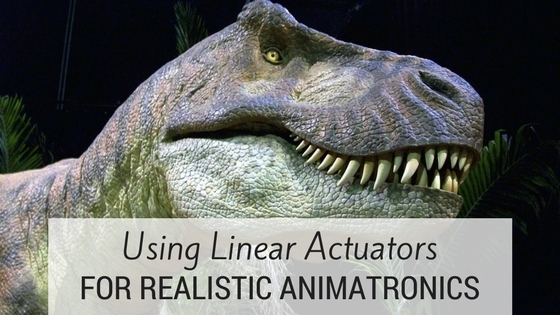 One of the primary advantages of using linear actuators for animatronics is that they offer a wide range of control options. 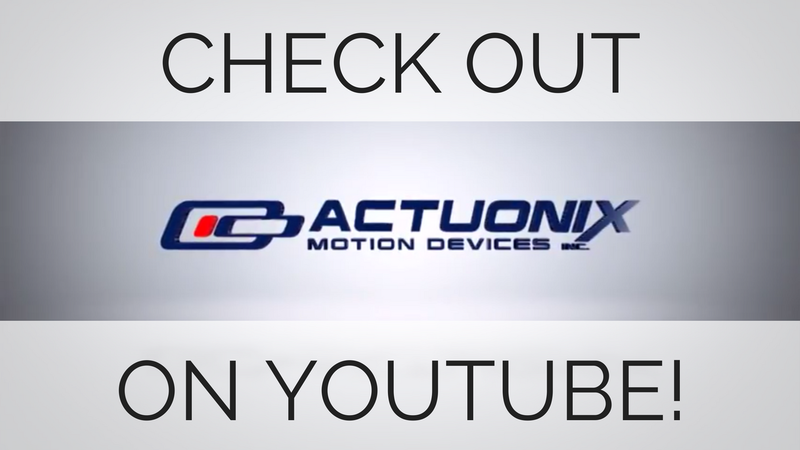 Actuonix offers four series of actuators, each with a unique control method. S-series - Controlled via reversing polarity. This is great for applications where your prop is controlled by a physical switch or remote control system. They come in 6V or 12V and can run off of a battery or a power supply. P-series - These offer position feedback and are intended for use with our linear actuator control board. They're ideal for applications where you need to remotely monitor the position of your actuator. They also offer the ability to set custom stroke limits, adjust speed and sensitivity. R-series - By far the most popular with hobbyists. R-series linear servos have the same 3-wire plug as RC linear servos. If you're familiar with using standard rotary servos via RC or arduino, these are for you. They're just $70 and there's nothing on the market quite like them. I-series - Our I series actuators feature an internal position controller and several input modes including R/C. They're best suited for industrial applications or enthusiasts who wish to design their own controller. For a closer look at more of the available options and the pros and cons of each, check out this article by Steve Koci. Steve is a long-time animatronics enthusiast and expert in the field. If you're considering your options for a project and want some help choosing the best linear actuator for your needs, contact our sales team, we'll be happy to assist you.